Eating out in Italy is different to going to an Italian restaurant at home. Forget any ideas you might have about 'Italian cuisine': apart from pizza, which is pretty much ubiquitous there's no such thing as standard Italian food - the local speci­al­ities vary hugely from region to region, and even from town to town. You might see a local speci­ality in one town or village and then never see it anywhere else. For me, this makes eating local food in bars and restaurants an important part of the exper­ience of travelling in Italy. The regional speci­al­ities are shaped by history, tradition and geography. For example, a large swathe of the mountains of north eastern Italy were, until relat­ively recently, part of the Austro-Hungarian empire (and before that were independent states) and the influ­ences are clearly there to be seen the minute you cross over the old borders. 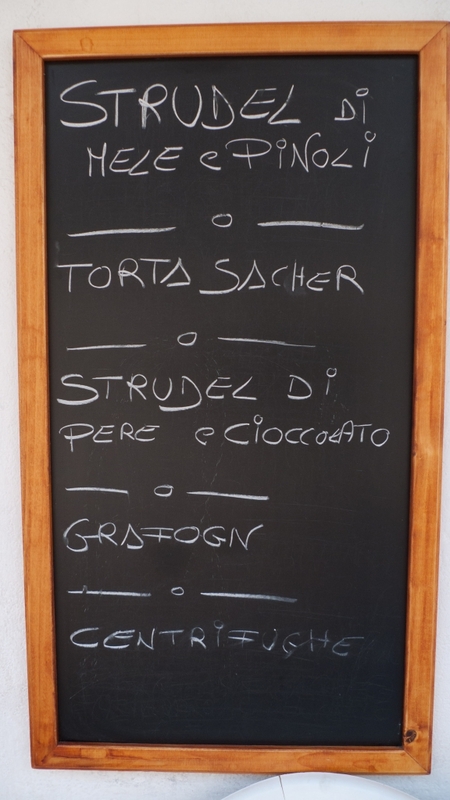 In particular there’s gulasch; canederli (knödl - a sort of dumpling); würstel (sausage); spätzle (a sort of gnocchi); speck (dried and cured ham); crauti, (sauerkraut) and of course strudel. Polenta is also very much a staple of restaurant menus in the north, so much so that polentone is the nickname south­erners use for north­erners (the nearest equivalent would be something like potato-head. Geography is also important - around the many inland lakes, fresh­water fish are the star of the show. While in the mountainous areas its meat like cinghiale (wild boar) or capriolo (roe deer) and of course funghi (mushrooms) and zafferano (saffron from wild crocuses). This is changing, to some extent, with the massive emigration from the south to the north: southern emigrants to the northern cities brought their food with them, and some opened restaurants and bars. Dried pasta, refri­gerated transport, frozen food mean that the southern mediter­ranean cuisine has gained a lot of ground especially when it comes to the food that people eat at home. Fishsellers in the towns of the Veneto will have fresh fish from Puglia in the far south. Restaurants, however, are still by and large strong­holds of local tradi­tions: if you see a restaurant menu that consists of the standard Italian dishes that you might expect to see in an Italian restaurant outside Italy it's a sign that it may cater mainly to foreign tourists. 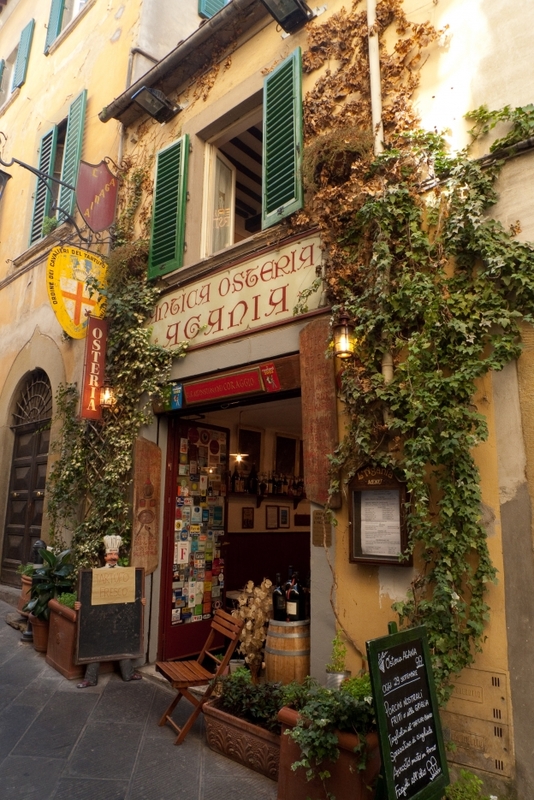 Italians seek out the local speci­al­ities and they are fiercely proud of their own. So when it comes to eating out think different: don't stick to the dishes you know but look out for the local speci­al­ities - you may never have the chance to eat them anywhere else.